The new york jets were one of the first teams to go back to their more classic look. For the first fifteen years of the Jets existence they had different variations of their classic white helmets after sporting a helmet in their inaugural season with the Jet Jets logo. 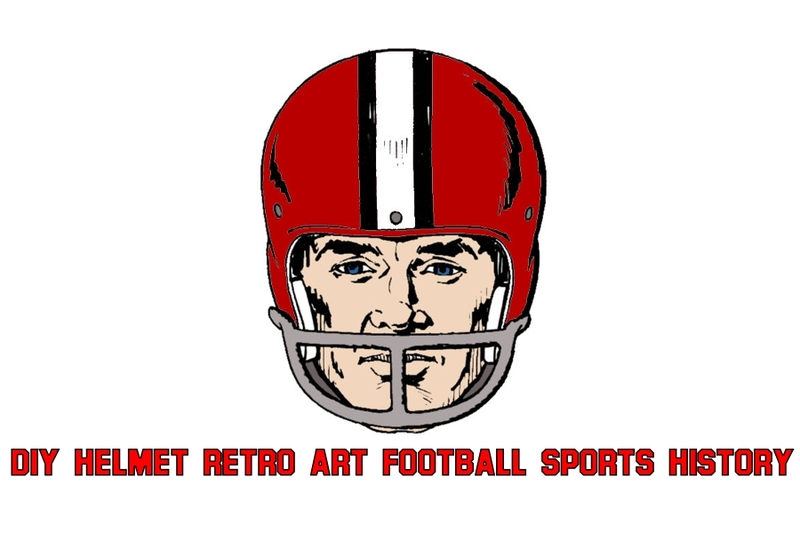 For the 1964 season the team switched to a similar logo to the one they use today, but with a white background. The following year the Jets switched to a logo with a green logo, which is very similar to the one they use today. After playing in white helmets for 15 seasons the jets decided that it was time for a change and debuted their new green helmet with an updated Jets wordmark. I always liked that wordmark and the early all green uniforms were pretty good-looking uniform sets. Unfortunately the Jets would go to the dark side for the 1990-1997 seasons. In sticking with the trend of adding black to sports uniforms, the Jets made the dubious decision to add black to their uniforms. Which meant a black logo outline and facemask for the helmets. In my opinion ruining what was a great look. Luckily for all of us, though, the Jets decided to turn back the clocks and switch to a variation of their classic look. Helmet wise this meant going back to the white shell with a modernized classic green logo. At some point they also added metallic decals and a pearl shell to the mix. I have always like the Jets because you can’t do much better than green for a sports uniform. I like that they have stuck with the classic look for the past 20 seasons, although I wouldn’t mind seeing a brief return of the 80s green uniforms just to change things up. 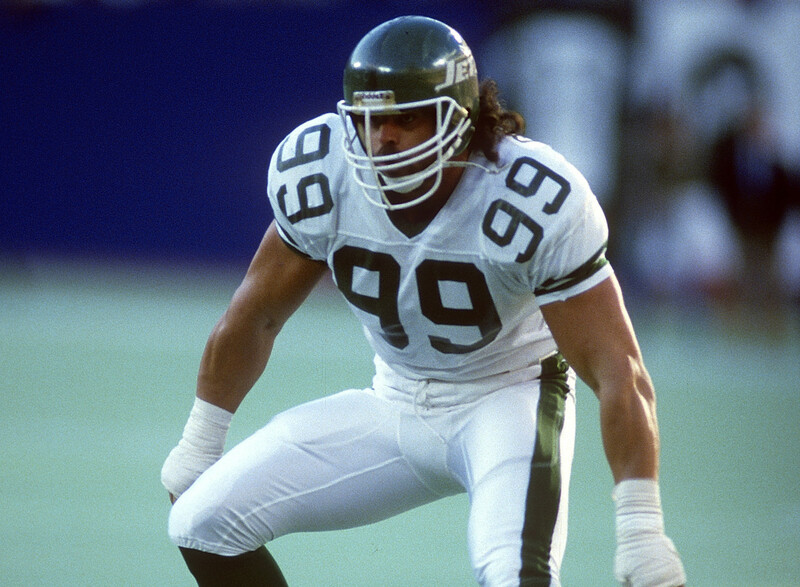 If the NFL ever changes their helmet rule it would be great to see a throwback to the Mark Gastineau era of uniforms. For my custom helmet i used a glossy white. This being one of my earlier helmets I did not yet start giving my helmets the pearl/metallic finish, but this was the first helmet I used the wet sand and polish technique, which gives it a great smooth mirror finish. I finished the helmet off with the pearl/metallic decals and green facemask. Custom Refurbished New York jets helmet.